Since the start of the school year, the Juilliard music programme is offered as a workshop between 12pm and 2pm to students up to 5th grade. 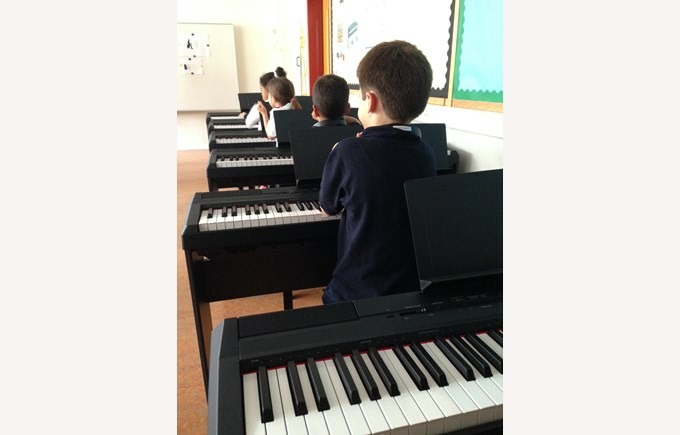 The programme is taught in two classes: musical expression and musical keyboard classes. During the music expression class, students explore music through movement, listening, singing, and with the support of percussion instruments ; the keyboard is also used as an exploration tool. The programme works around 12 music pieces of all genres with the aim to awaken students’ curiosity, creativity, expressiveness and ability to practice music. In addition to the programme, two to three times a year, the Collège will welcome alumni musicians from the Juilliard School who will work with teachers and students.